Taking time out of a busy day, sitting in a tearoom, emptying the mind of thoughts, listening to the sound of water boiling in the teakettle, and drinking a bowl of tea is such an exquisite pleasure. 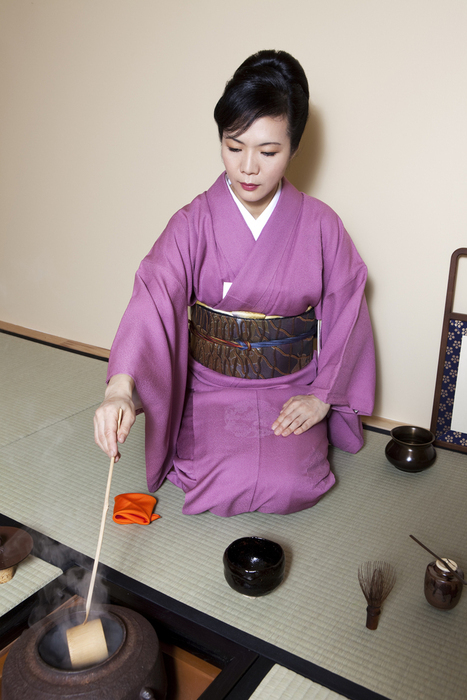 Chanoyu (tea ceremony) is all about the host entertaining the guest with a bowl of tea. With a bowl of tea, the host offers not only the tea but also the esprit of the occasion, appealing to all five senses. The host delivers this moment by purifying the tea room, selecting the utensils, burning the incense, and preparing tea and sweets. It naturally demands the host to be mindful always of leading a pure and beautiful daily life. At Chanoyu Murasaki, we bring the joy of Japanese tea ceremony to both children and adults. It is my heartfelt wish to introduce this wonderful world of Chanoyu to as many people as possible in NY/NJ area.